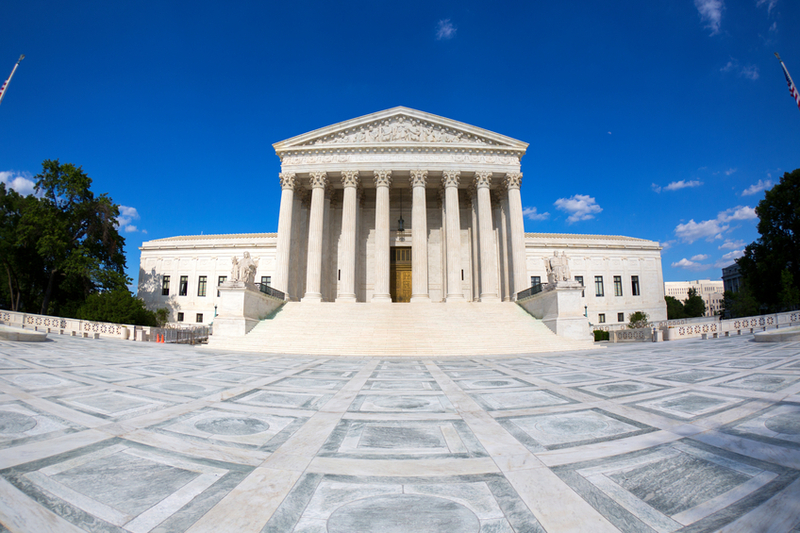 The ongoing battle between independent ATM operators and the major credit card companies continues as the Supreme Court has agreed to hear in their next term, an appeal made by MasterCard Inc., VISA Inc. and several other leading banks. The appeal is in regard to lawsuits that charge that the credit card companies and some banks colluded with each other to artificially set anti-competitive ATM fees. According to Reuters, independent operators of ATM machines, such as those found in convenience stores and bars, and consumers, both brought individual class action suits against MasterCard and Visa. The class action suits charged that large banks such as Wells Fargo, Bank of America and J.P. Morgan Chase & Co., all conspired together while MasterCard and Visa were still private companies owned by an alliance between member banks back in 2006 and 2008, respectively. According to the plaintiffs, the banks agreed upon a set of ATM fee rules that prevented smaller independent ATM operators from charging lower fees for consumer checking and savings account transactions processed on financial networks not associated with MasterCard or Visa. The plaintiff cases had originally been thrown out by a trial judge who had ruled their claims were not strong enough to proceed. Their cases were revived again in the summer of 2015 by a Washington, D.C. appeals court. Independent operators of ATM machines pay their fees for a transaction run through their machines based upon the network that handled the transaction. According to the independent operators, Visa and MasterCard, along with other banks, conspired together to adopt rules that prevented independent operators from charging their customers lower fees when non-Visa and non-MasterCard networks were used to process customer ATM transactions. The outcome of the appeal to the Supreme Court is very important to consumers. According to Bankrate Inc., in a 2015 ATM study, banks were charging $2.88 on average for each non-customer withdrawal transaction. The banks of the ATM customers were also charging an average of $1.64 for using an out-of-network ATM machine. Totaled together, the average ATM fee for consumers was $4.52. Just from ATM fees alone, the 5 largest banks in the nation made a whopping $283 million in the second quarter of 2015. Regardless of the outcome of any future decisions made by the Supreme Court, ATM users do have methods they can use to eliminate or at least reduce the amount they spend in ATM fees. Many banks now offer smartphone banking apps. Download the app of your bank to see if they offer a feature that can check your location to determine if there are any fee-free ATM machines near you. Most people visit a drugstore, grocery store or home improvement store at least once a week. If you don’t want to use your debit card for your entire purchase, set aside one inexpensive item and pay for it separately with your debit card and ask for cash back as part of the transaction. Another option is to simply visit your bank and withdraw enough cash to last until your next paycheck. There really is little difference between driving up to a live teller and withdrawing money and driving up to an ATM machine, except one transaction is free and the other one has a hefty fee attached. If going to the bank every week or two sounds like too much, go once a month and withdraw enough cash to last until the next month. Lastly, if you still aren’t satisfied with your bank’s policy regarding ATM fees, research other banks or credit unions to find out which one offers more competitive fees. Although a few dollars here and there may not seem like much, ATM fees do add up to substantial figures over time. Prudent consumers will find it well worth their time to find ways to obtain their own money for free.